His season is now over. 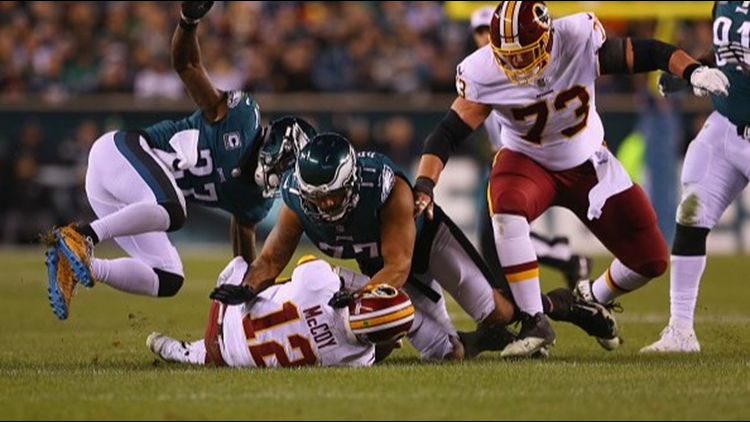 PHILADELPHIA -- Redskins quarterback Colt McCoy fractured his right fibula in the second quarter of their Monday night game against the Philadelphia Eagles. McCoy stepped in for the injured Alex Smith who broke his fibula and tibia during the Redskins week 11 loss against the Houston Texans. Mark Sanchez, who was signed on November 19, will take over as the Redskins starting quarterback.